Hello to all my creative friends....specifically today to all my stamping friends. 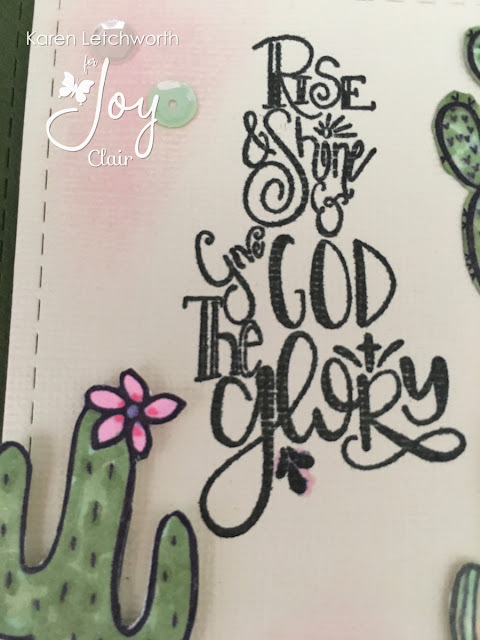 I'm posting today for Joy Clair Stamps to showcase a few more of the 12 AMAZING new stamp sets recently released. 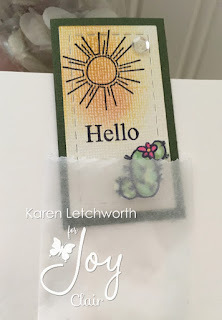 I've been having SO much fun creating cards, bookmarks and matching envelopes with all my Joy Clair Stamps, and I know you will love them too! The card I'm sharing today was created using the sweet new Blossom Stamp Set. 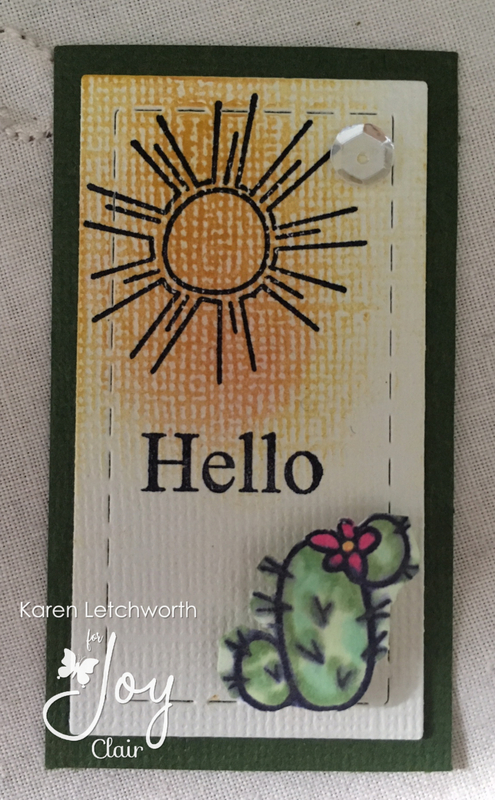 I used ivory and forest green cardstocks for my card base, and a Stitched Rectangle Die. 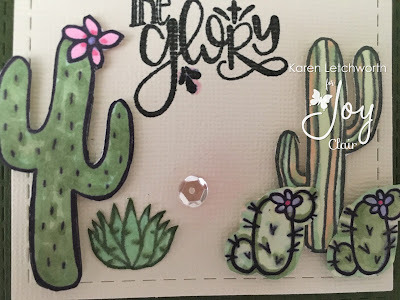 I stamped all the cactus using the Bloom Stamp Set and colored each one with my Copics. The sentiment I used on this card (Rise & Shine) is from the new Rise And Shine Stamp Set. 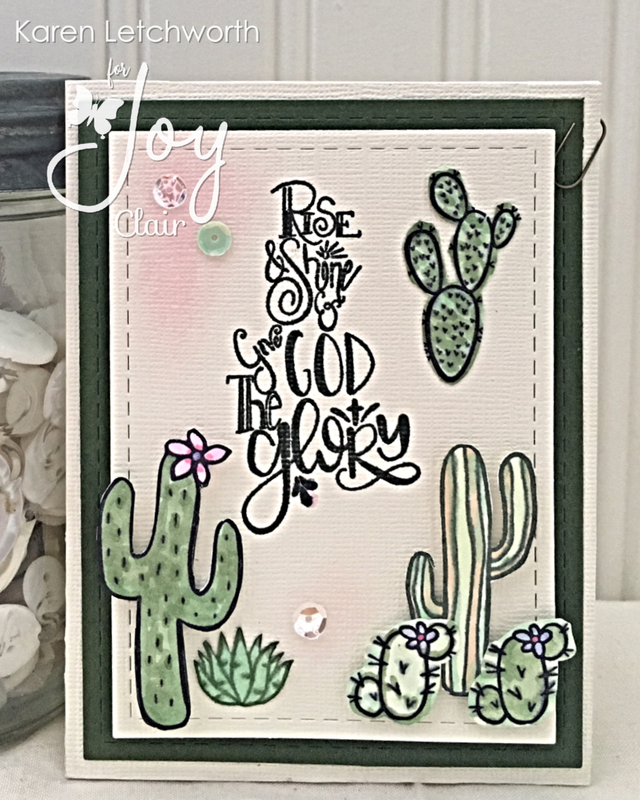 All of Joy Clair's amazing stamp sets work well when used together or independently. To prove this point yet again, I made a tiny bookmark to match my card. I used the sunshine found in the new God's Promises Stamp Set and the sentiment (Hello) from the Easter Greetings Stamp Set. 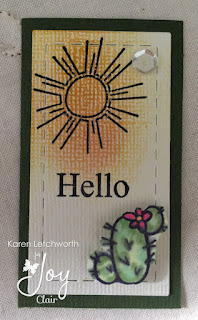 And then, to tie everything together...I again used a cacti from the Blossom Stamp Set. Aren't those cactus bushes the cutest? When I first saw this set, it didn't cry out to me (like some of the others), but once I saw someone else use it, I was suddenly like....in LOVE. Now I can't get enough of it. And the sentiments in these sets......LOVELY and SO functional for my every-day cards. 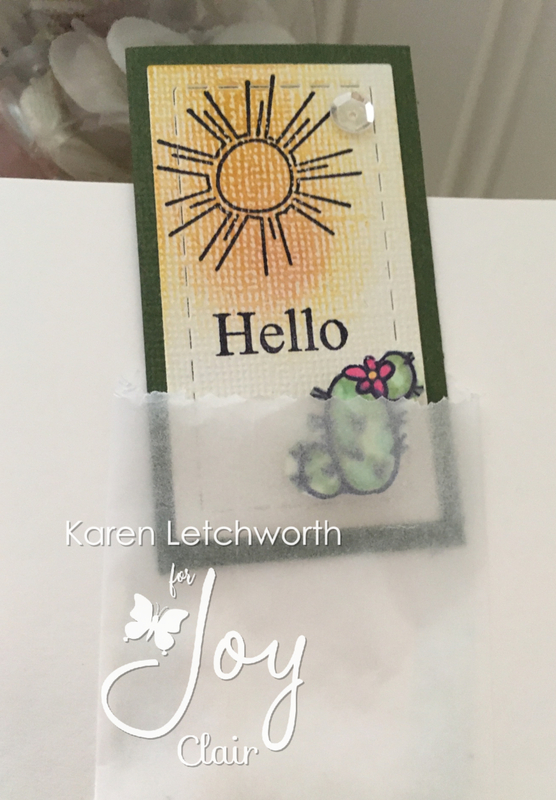 You'll see in the photos below that I added a small glassine bag to the inside of my card so that I could tuck in this cute little bookmark. Thanks again for stopping by, friends. 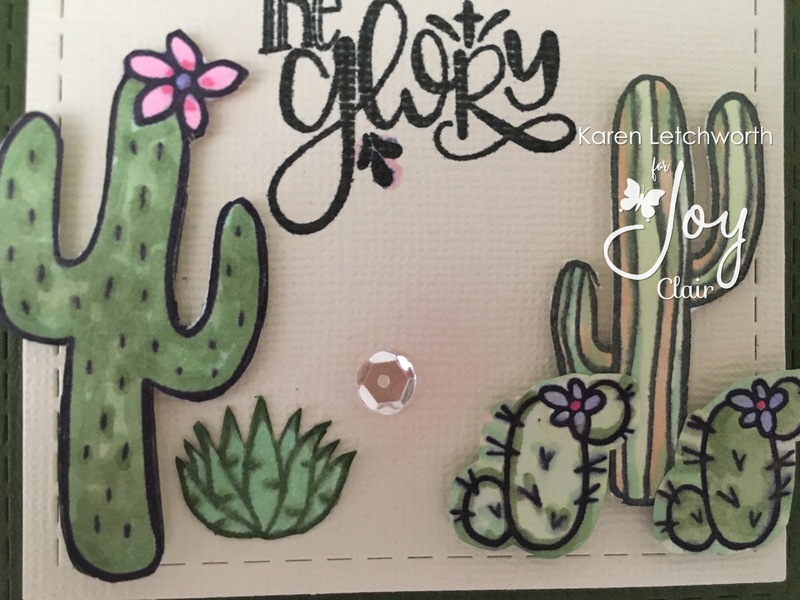 There's always lots of great inspiration on the Joy Clair Blog, as well as our February Challenge where you can play along for the chance to win some Joy Clair products. We know you won't want to miss a thing, so please stop by often....we always enjoy your visits. Wow - double wow. These are ever so delightful. Love the sentiment, love the coloring, love the layout. So glad to have found you through the SSS challenge. 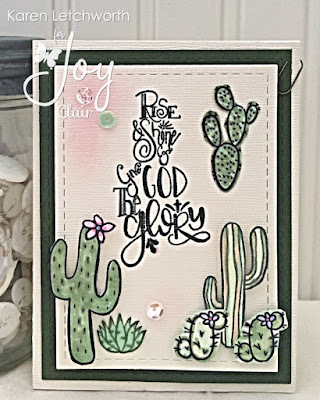 Great cactus cards. Fun design and coloring.